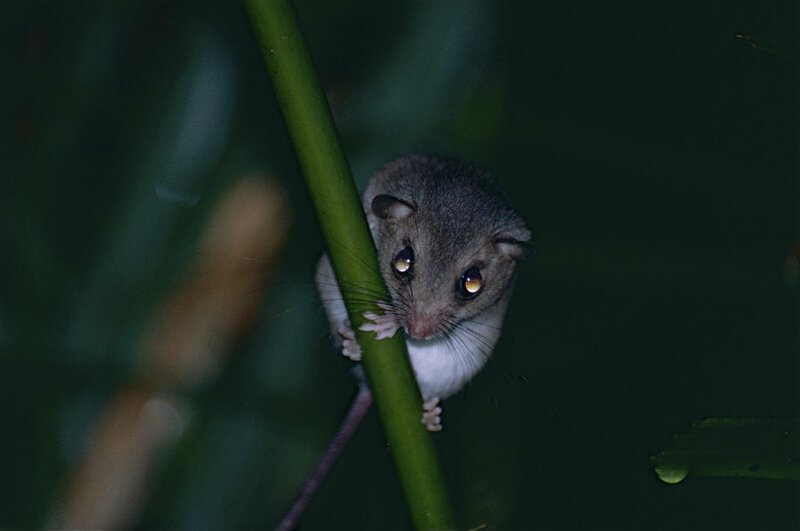 The Bramble Cay melomys or mosaic-tailed-rat, a mammal species, has become extinct according to researchers from Australia’s University of Queensland and Queensland Government. Due to “rising sea levels” and an “increased incidence of extreme weather events,” the rodent was wiped out. The now extinct mammal’s only habitat was Bramble Cay, a small island located in the Great Barrier Reef, in Australia. Researchers failed to find any trace of the rodent in the region in 2014 although the exhaustive search made. This research, led by Professors Ian Gynther, Natalie Waller and Luke Leung from University of Queensland’s and Queensland’s Department of Environment and Heritage Protection, had 150 traps laid on the island for six nights in other to find the small rodent which was last seen in 2009. “A thorough survey effort involving 900 small animal trap-nights, 60 camera trap-nights and two hours of active daytime searches produced no records of the species, confirming that the only known population of this rodent is now extinct,” said Luke Leung in a press release. Luke also stated that the key factor responsible for the death of the Bramble Cay melomys is almost certainly high tides and surging seawater, which has traveled inland across the island. Due to climate change, it is said that between 1993 and 2014 the sea level around the Torres Strait, where the also known mosaic-tailed rat lived- have risen at twice the global average rate, which recently has increased by almost 20 cm. The researchers wrote in the report that for low-lying islands like Bramble Cay, the destructive effects of extreme water levels resulting from severe meteorological events are compounded by the impacts from the anthropogenic climate change-driven sea-level rise. The researchers said in their report published on the Queensland government’s website last week that significantly, this probably represents the first recorded mammalian extinction due to anthropogenic climate change. Europeans first discovered the Bramble Cay melomys in the mid-1800s. The 4-5 unstable coral cay Bramble Cay, located in the eastern Torres Strait, was the rodent’s only habitat. This mammal species was nocturnal and used to shelter in burrows or under debris where there’s vegetation. They were mainly vegetarian. In a phone interview, Jamie Carr, coordinator of the International Union for Conservation of Nature’s Global Species Program, told Weather.com that for the IUCN the rodent has highly likely gone extinct, but they did not declare it extinct because they need it to consults other research and experts to finally report it. He said that to be sure that the Australian research carried out by University of Queensland’s, and Queensland’s Department of Environment and Heritage Protection is accurate. Since the rodent’s habitat has been affected by the climate change, researchers were uncertain if the rodent could have migrated to the Torres Strait a strait between Australia and New Guinea that has more than 200 islands. Stuart Pimm, a professor of Conservation Ecology and endangered species at Duke University claims that the report should be something to be worried about because every time species are driven to extinction by human-caused climate change, we are disrupting the world environment. In 2015 a study published in the journal Science says that one in six of the planet’s species will be wiped out by human-caused climate change if world leaders do not take actions. “I think this is significant because it illustrates how the human-caused extinction process works in real time. On land, we’re seeing the same thing, except rather than water barriers, the barriers are the 51 percent of the Earth’s land surface that has been taken over by people,” said Barnosky.